Dani Evanson is a Principal and Managing Director of RMA. Together with executive management, Dani leads the firm’s strategic direction. Dani is responsible for capital raising, fund management and accounting, and investor relations. She co-manages RMA’s joint venture partner relationships and serves on RMA’s investment committee. Dani has over 20 years of experience in real estate with a background in acquisitions, dispositions and portfolio management. Prior to joining RMA, Dani was a Real Estate Director at a Los Angeles based family office. In that role, she had primary responsibility for investing and managing a $500 million real estate portfolio consisting of investments in commercial properties, investment funds, joint ventures and real estate operating companies. The portfolio included mixed-use, industrial, office, residential and retail assets. In addition, Dani served on the advisory board for two real estate investment funds. Dani holds a B.S. in Business Administration from the University of Washington. She is a licensed CPA (inactive), CMA (inactive) and California real estate broker. 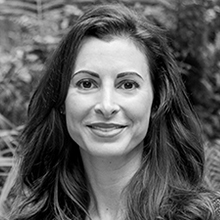 Dani is a current member of the Entrepreneur’s Organization and 2017/18 Finance Co-Chair of the EO Los Angeles Chapter, City of Angeles and 2007 President, 2009 and 2012 Advisor Board Member of Commercial Real Estate Women (CREW) – Los Angeles Chapter.